Electrical repair and installation work is serious business. Quality work helps make your home more energy-efficient and reduces the risk of electrical fires. That’s why it’s important to work with a residential electrical contractor in Bettendorf, IA, you know you can trust. QCA ELECTRIC is a local, family-owned business with a reputation for delivering quality services--not just for residential clients, but for commercial and industrial customers as well. 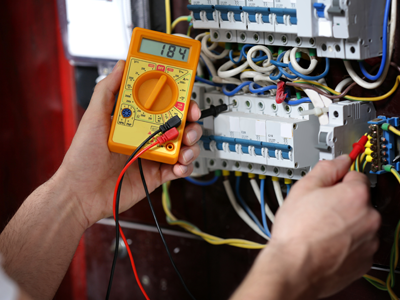 We cover virtually every aspect of electrical work, including installations, repairs, and maintenance. This ensures you get products and systems that you can count on to work properly and last well into the future. We strive to maintain full accountability for our work and instill confidence in our customers. That’s why, in addition to our extensive experience, we are also fully licensed, bonded, and insured in both Iowa and Illinois. Additionally, when you call us, you will always be answered by a licensed residential electrical contractor and, in most cases, the owner Chuck Mausser. 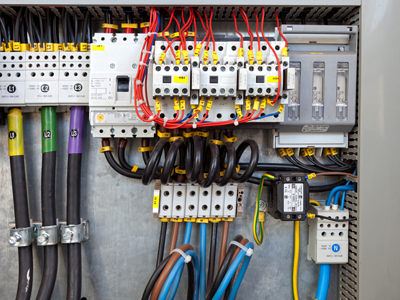 This way, you can get dependable answers to all your electrical questions. Our company is dedicated to serving all of our customers’ various needs--from simple landscape lighting to complete system rewiring. For more than 35 years, we have continuously strived to bring our full attention and talent to each task. By employing highly trained and experienced electricians and delivering 24-hour reliable service, we know we can ensure your satisfaction. In fact, our company provides a lifetime warranty on our workmanship, so you know you’re in good hands when you work with us. With our expertise, we’re also adept at performing specialized tasks like industrial machine relocation and underground directional boring. So no matter how large, small, complex, or simple the job is, you can count on us to get it done right. 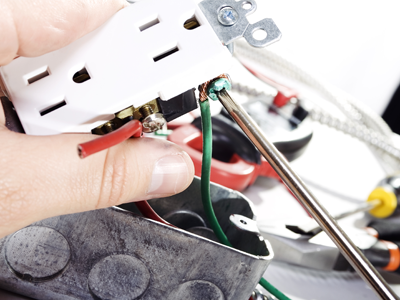 We’re happy to schedule a consultation to see what electrical issues you face. Our contractors will let you know what your options are, as well as which one will work best for your needs. Contact us today to learn more about our services. We’re proud to work with customers throughout Bettendorf and Davenport, Iowa, as well as Moline, Rock Island, and East Moline, Illinois. family safe with our electrical services. QCA ELECTRIC is the premier electrical contractor for the Quad City Area encompassing Bettendorf, Iowa, and the surrounding area. We've provided more than 35 years of service here, employing highly-trained and experienced licensed electricians that you can trust and depend on to deliver 24-hour reliable service while guaranteeing satisfaction. With a lifetime warranty on our workmanship and emergency responses in less than an hour, we deliver the very best results. We are 100% committed to providing the solutions you need, all while keeping your family or business safe, happy, and comfortable.